This catastrophe remind us the Windsor Tower Fire in 2005. “The image I saw was identical to the Windsor Tower in Madrid, the characteristics of the building, the spread of the fire, the similar number of plants but the big difference is that the Windsor Tower was an office building the fire happened on Saturday, so it did not involve human losses,” explains Eugenio Amores, Madrid’s firefighters chief. 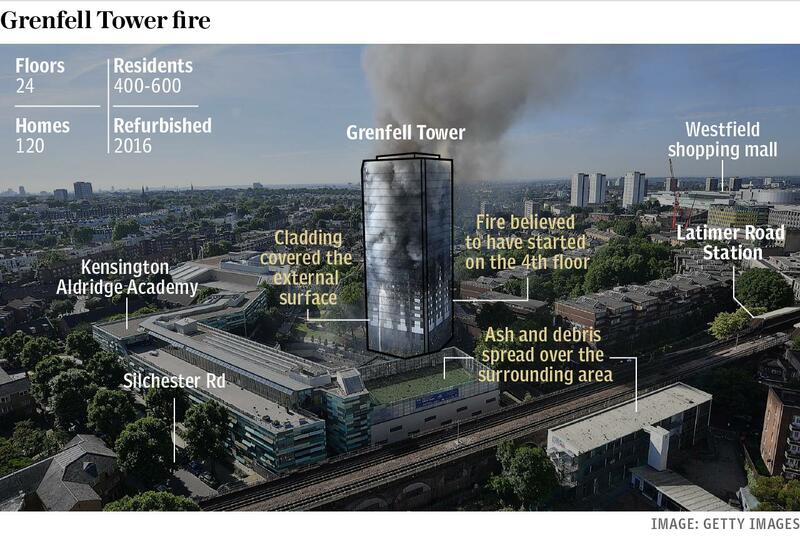 “The fire in the London building as a housing building and at night implies full occupation and late detection,” he adds. One of the reasons for the spread of fire was the inflammable coating of the building.“It is very difficult to point to something definitive but it seems that the building was constructed with highly flammable materials that make the spread very fast,” says Eugenio Amores. – In the 24 floors tower, there were living between 400 and 600 people. At the moment there are 30 dead confirmed but unfortunately we expect many more. – At the moment the causes of the incident are unknown, although, according to witnesses, it could start on the fourth floor. – The investigation will determine if the problem was the lining of the building or how it was applied. – The tower was rehabilitated in 2015 using polyethylene in the coating. – Some residents and neighborhood associations report that fire alarms did not work. – British Prime Minister Theresa May has arranged an official investigation into the tragedy in order to get “to the bottom” of what has happened so that a tragedy like this will not happen again. 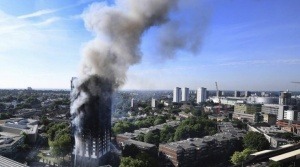 They will have testimonies from local authorities, the building company, residents and relatives of the victims. Have there been other tower block fires in London? In July 2009, six people were killed at more than 20 injured when in a blaze at Lakanal House, a tower block in Camberwell, south east London. In May 1968 four people were killed and 17 injured when Ronan Point, a tower block in Newham, east London, partially collapsed after a gas explosion, which blew out several load-bearing walls.